I’ve slowly worked to perfect a meal planning process that works beautifully for me, so I thought I’d share. If you’re attached to your smartphone, you might like this too. I use Evernote to capture all my recipes. I clip articles or just highlighted portions of a site. 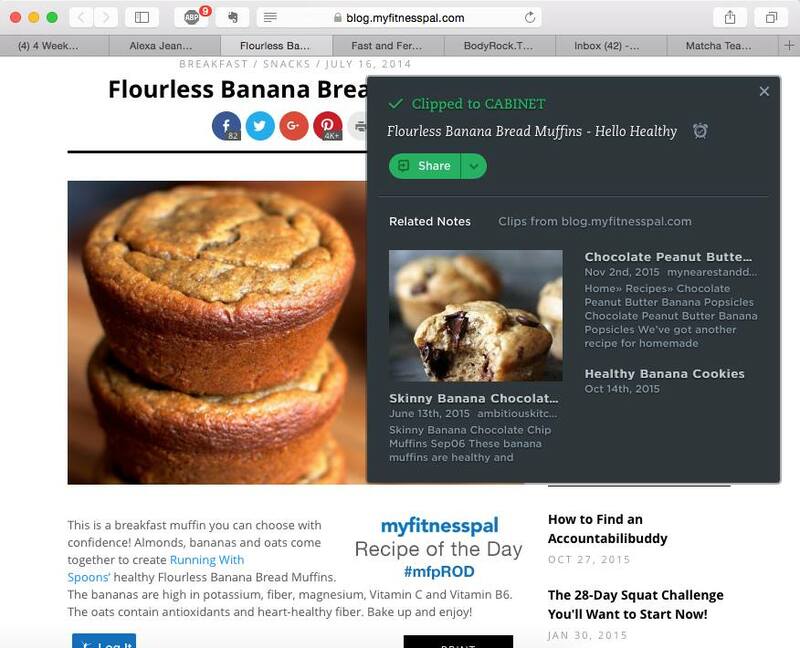 Clipping an article from a shared site so it’s now in Evernote and ready to access any time. 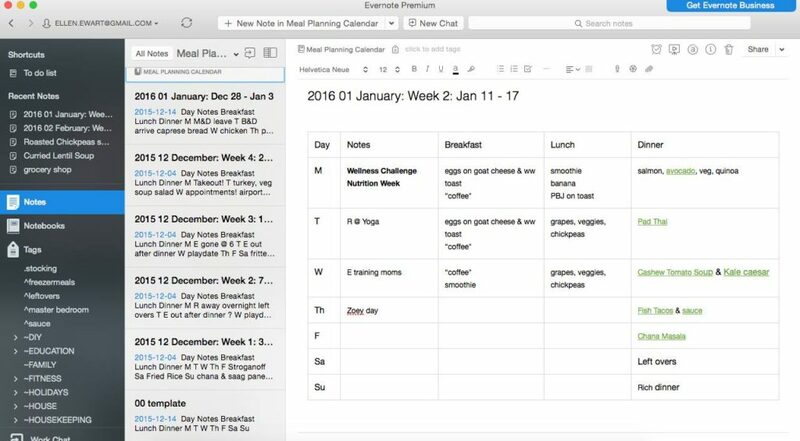 In Evernote I have a separate notebook for meal planning. Each note has a table for one week of meals. I have a spot to include notes (like if I’ll be gone around dinner time or if my husband is out of town) and space for each meal. 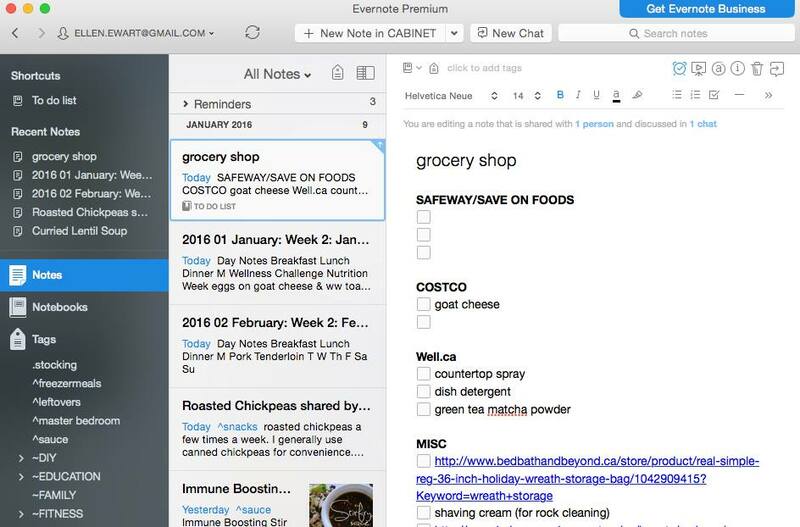 I can list the meals I’ve planned and link them to the actual recipe (also stored in Evernote). This makes it so helpful when it comes time to follow the recipe (and also in the grocery store if I have to verify something). This week’s meal plan. 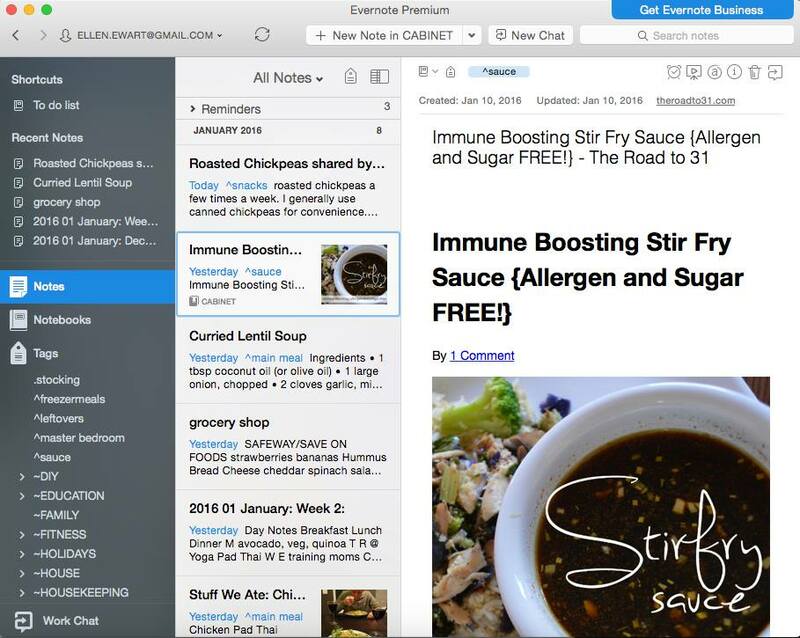 Green text denotes a link to a recipe stored in Evernote. Although I’ve been creating each week’s meal plans from scratch so far, I am expecting that in the future, I can simply copy a previous week from the same season and follow it. Once I have my week set, I open another note called GROCERY SHOP that is simply an ongoing list of items sorted by store (costco, grocery, well.ca, liquor store, michaels, misc). I toss in the items I need as a checklist. Because this is cloud-based, I can now access and check-off items on any device (iPad while in the kitchen, computer on my lap, smartphone in the grocery store). As much as I like pen & paper lists, checking items off on my phone just happens to work best while on the go. Bonus, I can send or share the list with my husband if he’s doing the shop! My ongoing grocery list. It’s empty because I shopped yesterday. 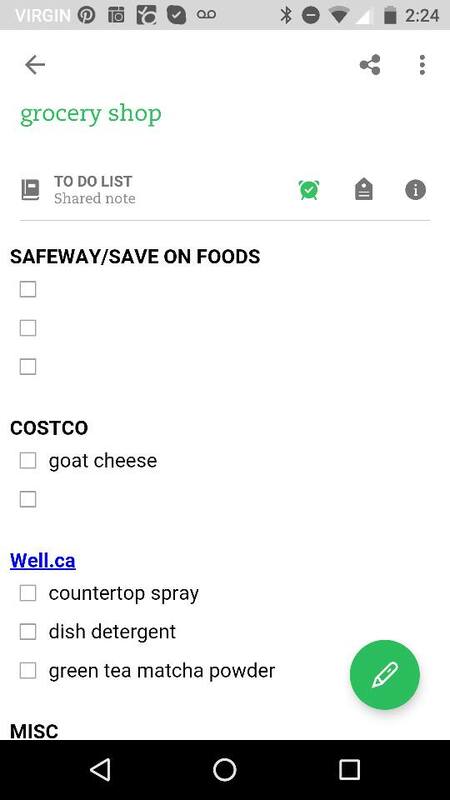 My grocery list on the mobile app.